Yesterday I’ve added some spring flowers to the site – just for the spring mood. My own photos of the flowers by the house. Don’t miss the article by Petko A.Petkov “Block of Neutral battery-piece“! See the 1st and the 2nd part of it available now! 2 originals are added to the section Original problems PAGE-4: h#2 by Diyan Kostadinov; #2 by Seetharaman Kalyan and 1 original – to the section Original problems PAGE-3: h#2 by Dmitri Turevski. Thank you very much!! 2 originals are added to the section Original problems PAGE-3: s#2 by Juraj Lörinc; h#2** by János Mikitovics. Thank you very much for this!! A nice icon that is shown from now inside the browser’s location bar is created by János Mikitovics and added thanks to his explanations. Thank you, Janos! Why we should pay a special attention to the Locust fairy piece, developing our main theme? Indeed, some examples were already shown in the first part of this article! a) We are talking about neutral Locusts, but the are not much used in practice, when the problems don’t contain any additional fairy conditions. b) Many effects of these pieces are little known, and some of them, which will be discussed later, perhaps are very little used, or even never met until now. c) In some modern genres – for example, HS# or HS= fairy problems, neutral Locusts are still poorly used and there is a huge practical reserve. d) In theoretical approach it is interesting to examine a number of issues here, that are not clarified in the theory of fairy problems, meaning in reality, that the term “theory” is very relative in this arena. It is well known, that up to now such a theory – in a form of a serious, complete scientific and practical work – doesn’t actually exist. e) The central theme of this article – block of neutral battery piece – has a particular importance, since exactly this motif, as it was already mentioned, interferes with the side which gets mate, to protect itself by escaping a neutral piece, which we have named “X”. f) Since this article has a strong practical emphasis and is also planned for the wide range of readers, especially – beginners, many motifs here are explained with only a simple diagrams, which demonstrate the important basic effects the readers can apply in their work. So, let’s continue with the series of examples, where Locust is a forward piece or rear piece in a different batteries or anti-batteries. As a forward piece, neutral Locust can demonstrate an interesting effects – it opens the battery, but at the same time the side which is in defense captures the rear piece with the same neutral Locust and the goal can’t be reached immediately. Thus, blocking of piece “X” which is implemented by the own piece or by the piece of the other side, prevents the piece “X” from the capturing of the rear battery piece, destructing the battery. One such an example you’re already seen in the part I – problem No.6 – a fairy twomover, where “X” acted as a forward piece in the direct battery, but in No.7 – as a forward piece in the anti-battery, although there was just one solution. Let’s continue a little bit with the examples of this type. In No.9 we can see that the battery is going to play. The battery is created by the following pieces: nLOb5 – forward piece, LIe2 – rear piece, Pd3 – a pawn, which has only technical functions from the first view, although without it it would be impossible to create our battery. At the beginning let’s try this idea for the solution: 1.Rc3 ~ 2.Rb3 nLOxb3-b2+? 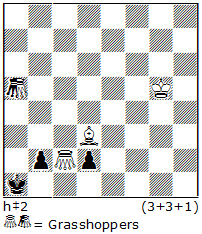 – but here we see already known defense by the black: 3.nLOxe2-f2+! – capturing the battery-piece LIe2. It’s not difficult to guess, that white (for now we haven’t defined their first move) can block the square f2 — and everything will be fine. Thus we have: I. 1.Rc3! Kf2! 2.Rb3 nLOxb3-b2#! But the problem has 3 solutions — let’s see what’s going on. 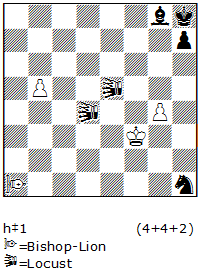 Analogical ideas by the black Rook we can implement also with the moves: 1.Rc4 1.Rc2. But suddenly, the very important role here has exactly our pawn on d3! First, let’s try: 1.Rc4 ~ 2. Rb4 nLOxb4-b3+? but 3. nLOxd3!! 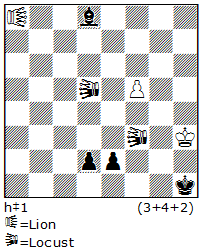 – white battery doesn’t exist anymore as the pawn d3, which is needed in this construction, is removed, and there’s no mate! Therefore we should here also block the square e3 with a white by analogy with the first solution, to make impossible a capture on d3: II. 1.Rc4 Ke3! 2. Rb4 nLOxb4-b3#! Analogically: III. 1.Rc2 Ke4! 2. Rb2 nLOxb2-b1#! – again the white King has blocked the square for the neutral Locust! Now it’s a time to speak again about the white pawn, which participates in the creation of white battery, but is not named yet. Of course, any names are possible and it is not that important from the practical view. Let’s name it tool battery-piece or shortly TBP. а) Pieces and pawn of TBP type – can be often found in a batteries, where a fairy pieces of Нoppers type participate in a battery creation. In case of direct battery creation with a Hopper rear piece, almost always the TBP pieces are applied and in most cases they are pawns – of one or another color. 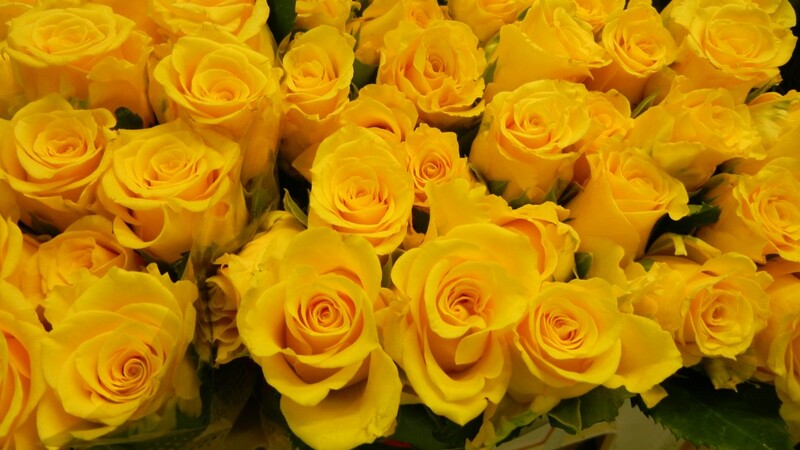 b) Usually, such kind of pieces in most of problems neither do any move, nor are captured. In the other words, they’re pretty static. c) In which casesTBP-piece is considered as a bad piece in a problem? In case if TBP is a pawn, such a question is almost never worth. Another case, if white or black piece acts as a TBP. Then the actual question is – if this a piece, although needed in the battery construction, does it stay well on the board? My answer is the following: if TBP is a piece, not a pawn, then it stays a little bit bad on the board in case if it acts only as a technical element of the battery. Therefore, we should try to add some additional, thematic or incidental function to our TBP! This is very important from the aestetic point of view! For example, in our studied problem No.8 – the white Sd8 acts as TBP. But it is not a bad piece, as it has also the additional function – it guards the important square b7! A better usage of TBP is shown in problem No.9, where pd3 acts as a TBP, and the play in 2 solutions is based exactly on the impossibility of capturing this piece! 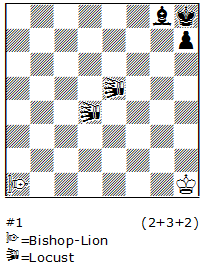 Of course, in No.9 it is possible to remove one of the solutions and, replacing black Rook with a Bishop for example, to compose a version with just two solutions, where the blocks are done only by the white King next to the TBP-pawn. Thus, we got the scheme No.10: 1.Be5 Ke4 2.Bb2 nLOxb2-b1#; 1.Bd6 Ke3 2.Bb4 nLOxb4-b3#. By the way, here (like in No.9 as well) a Bishop-Lion also can act as a white rear piece. Now let’s look at some special cases, where two neutral Locusts are on the thematic battery line. In a scheme No.11 a thematic battery consists of 3 pieces: forward pieces –nLOf3 nLOd5, rear piece – Lion a8. Of course, it is possible here to use some other piece of Hoppers type on the square a8: LEO,VAO, Bishop Lion etc. It is important to emphasize: it is not a half-battery, but exactly just a battery, but with two forward pieces X! Why it’s not a half-battery? Very simple – because in case of half-batteries the both forward pieces play. But here such a moment doesn’t exist – every time only one of the forward pieces plays, but at the same time the other one acts like TBP; in the second solution the pieces interchange their functions. 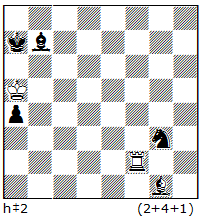 So, let’s try to give a mate in 1 move in No.11: 1… nLOxe2-d1+?n – using the piece nLOf3 as a forward piece. 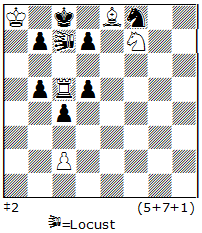 This try doesn’t work, because a black answers with the move of another piece along the battery-line – 2.nLOxf5 – g5! and the battery is distructed. The analogical try is: 1…nLOxd2-d1+? but 1…nLOxf5-f6! and the battery is distructed again. To realize H#1 is only possible blocking the squares g5/f6. Thus, a static Locust in a role of TBP-piece doesn’t have anymore an opportunity to capture the white pawn and to destruct the battery: 1.Bg5 nLOxe2-d1#; 1.Bf6 nLOnxd2-d1#. 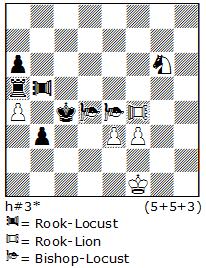 It’s even more interesting, when during a play the both neutral Locusts are blocked, as it is shown in a problem No.12. 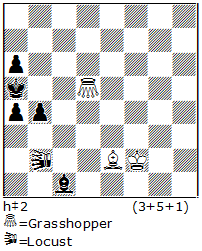 It’s not difficult to see, what kind of plan should be implemented here: the black Queen is sacrificed with the aim to give an opportunity for the neutral Locusts to move on vertical g. This way they give double checks with a mate. But in the initial position it’s impossible to realize this idea. Let’s try: 1.Qf3? nLOxf3++? 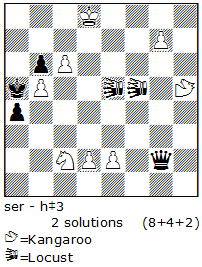 – now black has 2 defenses from the mate: 2.nLOcxg2-h2! and 2.nLOgxc2-b2! Analogically, the following try doesn’t lead to the goal: 1.Qf2? nLOxf2-g2++? 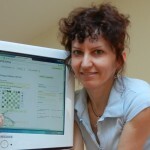 – again black has 2 defenses from the mate: 2.nLOеxg2-h1! and 2.nLOgxe4-d5! A plan for the solution consists of the following: to give a mate in the both solutions every time we should block two squares. These blocks by the black and white pieces are done this way: I.1.Qf3! RLh2! 2.Rb2! nLOxf3-g2#! – here h2 is blocked by white, and b2 is blocked by black; II.1.Qf2! RLh1! 2.Rd5! nLOxf2-g2#! 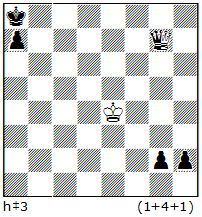 – here h1 is blocked by white, and d5 is blocked by black. A block of two thematic Locusts is a very nice interpretation of the theme, but it is always good if a problem has also some more interesting motives. 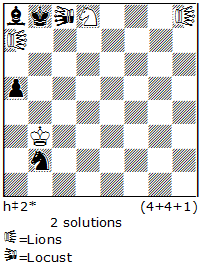 Here they are: a) sacrifice of a black piece (it’s almost a standard motive in such a schemes); b) destuction of a black battery R/Q – the very important and interesting idea, which define the order of the black moves! Of course, it’s possible to use some other similar batteries with the analogical location of Locusts, as the scheme No.13 shows. Here in the upper part of the position a NAO piece is used as a battery rear-piece – a very important piece in this role! In the lower part of the position a battery which can be used in help-self mates is shown. Very often, using modifications of the standard (Queen-type) Locust – like Rook-Locust, Bishop-Locust etc. 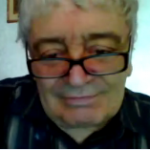 – it is possible to compose an interesting problems of different fairy genres. A typical example is No.14: Set-play: 1…nSe5+! 2.RLOxe5-f5 Kf2! 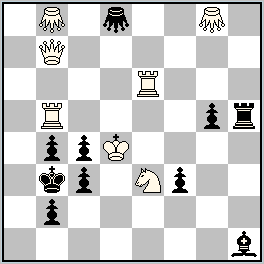 3.Rd5 BLOxf5-g6#; Real play: 1.nSe7 nSd5! 2.RLOxd5-e5 Kg2! 3.Rc5 BLOxe5-f6#. Thematic complex here includes also non-standard motives: sacrifice of a neutral S, sacrifice of a black Rook-Locust, Bristol-theme RLO-R, black blocks. Please look at the diagram No.15 – at the first glance, a very familiar, easy position. And yet, here’s something very interesting and different to the previous examples in the section A). A stipulation #1 is realised here in a very peculiar (original) way: 1. nLOxe5-f6#! 1.nLOxd4-c3#! THE FIRST QUESTION: What’s this? Is this a direct battery, half-battery or anti-battery play? My answer is: Here we have a play of a battery of a special type – with 2 forward pieces. But the piece which gives mate here, captures another forward piece and it is implemented along the battery-line with the Annihilation method! As a forward piece here we can consider a piece, which does the mating move with the capturing. In the other words, after 1.nLOxd4-c3# a piece LOe5 acts as a forward piece, but after 1.nLOxe5-f6 – LOа4 acts as a forward piece. THE SECOND QUESTION: What practical chances this mechanism gives for composing good problems? The answer is: The chances are simply beautiful, but it’s needed here to complicate the central motive with the other motives, among which a blockage has a central place again! For example, in a position No.16 – white can’t give mate in 1 move with 1. nLOxe5-f6?? and 1.nLOxd4-c3?? – because these moves are impossible (illegal self-checks). It is necessary here to block the squares g3 and f2: 1.Sg3 nLOnxd4-c3#!, 1.Sf2 nLOxe5-f6#! An interesting moment! Here, after 1. Sg3 the 1….nLOxg3-h2+? doesn’t work because of 2. nLOxg4-h4! Analogically: 1.Sf2 and now won’t work 1….nLOxf2-g1+? 2. nLOxb5-a5! In the light problem No17 we can see a complex of motives: block of squares c1/d1, realized by the black Queen, Annihilation captures of pawns c6/g7, Zilahi theme, model mates. I. 1.Qxg7 2.Qg1 3.Qc1! nLOxf5-g5#; II. 1.Qxc6 2.Qh1 3.Qd1! nLOxe5-d5#. Our well-known special battery here is modified now, using the white pawn on the thematic line and a Kangaroo piece as a rear piece. In the next, the 3rd part of this article, we’ll look at some other interesting batteries with Locusts! There’s one very simple, but interesting fairy idea, which might be called also the theme: block of neutral piece, which participates in a battery creation. Different variations of such batteries are possible – the neutral piece there, let’s call it “X”, can be either a forward piece, or also rear piece. Of course, the idea can be realised in the anti-battery play as well. It should be specially mentioned, that all these possibilities are studied and used in a practise a very little yet. But why our “Х” should be blocked during the process? The answer is simple: it should be blocked, to not allow to the side, which gets mate, to go away – to make a move with “X” to avoid the mate. Or, in the other words, the piece “X” which is blocked with the aim – to prevent its leaving of the battery-line. 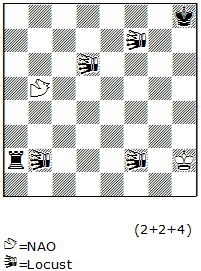 Also, some special situations exist, where the piece “X” has to be blocked to prevent it from the giving a check to the opposite King, when it leaves the battery-line (such moments might happen in a case, when the neutral Locust piece is used as a piece “X”). This article is planned as a material of the numerous parts, and at the same time it is intended to the both – to the masters in composition, and also to the beginners. For these reason many of thematic effects here in the beginning are demonstrated with the simple positions – the schemes, where the only one option or solution is possible. Also, many works of the masters of Fairy genre will be presented later in the article, after the starting material will be well-learned. Of course, the theme Block of the Neutral Battery Piece can be used in all genres of composition, in other words – for all the stipulations, which determine the aim of a play: direct mates, helpmates, selfmates, and also help-selfmates. It is possible also to realize this theme in a fairy problems with almost any of fairy conditions: Circe, Madrasi, Andernach, Take&Make etc. But in the 1st part of this material we’ll look only at the problems without additional fairy conditions which will be discussed at the very end of this cycle of articles. Probably, the reader immediately will notice, that the theme we are reviewing, almost always are developed in conjunctions with other themes or ideas. And the richer is this synthesis, the better is the result! But at the beginning the examples will be very simple to be understandable for any reader who is familiar with the neutral pieces. So, let’s start from the simple effects of the blocks used in direct and indirect batteries. Now the series of the elementary schemes will be shown, but it is important to learn the methods of the blocks here very well as in the future it will be very much needed! White can’t give mate right after 1. Rf8+?? because black has a strong defense: 1….nBh2! 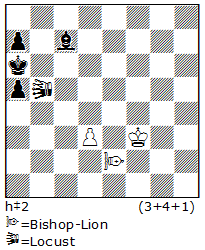 – neutral bishop simply leaves the battery-line, and white is unable to remove this protection. But how it is possible to realise H#2 here? Of course, a simple analysis shows, that it is possible to do so in a case if black will block the square h2 for the neutral bishop. It’s easy to see how it can be done: 1. Sf1! Kb5 (this is a tempo-move of white!) 2.Sh2 Rf8#. It’s also not very simple thing to give a mate from the battery on the vertical “a” as the rear piece of this battery is a neutral rook. For example, if we try 1.Sd8+? K~ – then the battery is absolutely useless – for the move 2…Sc3+? the neutral rook simply goes away along the 6th horizontal, f.i. 3.nRb6! ОК. Then we have the only possibility – to block (if it is possible!) 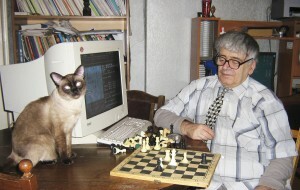 the neutral rook and to give a mate like in the example No.1. This is how it can be done: 1. Sd4+!! Ra3!! – only this move works –the rook is prepared for the future block! 2.Sb3!! – the neutral rook is already blocked and 2…Sc3# follows, as the rook can’t leave the battery line anymore to avoid the mate. Please pay your attention to this interesting idea – although, this is in the one solution only, but plays 2 “combined batteries”: the 1st one is black-neutral Sc6/nRa6 —along the 6th horizontal, and the 2nd one is white-neutral Sa2/nRa6 – along the vertical “a”. It is surprising, that the blocked piece can be even the neutral Queen, if it is a rear piece of the battery. 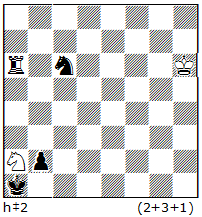 The mate is achieved after the masked battery K/Q creation in a following way: 1.nQa1 Kd5 2.nQh1 Kc6 3.g1=B+ c7# – the thematic black move here is 3.g1=B+ but the method of limiting the mobility of the neutral Q, moving it to the corner of the board, is very important for practical purposes. Of course, it’s possible to bloack also many fairy pieces, which participate in a batteries or anti-batteries. 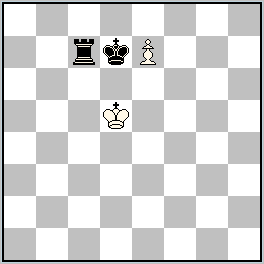 The plan of white here is to move a bishop to a2 square, and, building an anti-battery, give a mate. But the realisation of this idea is prevented by running away of the nGa5 to h5: 1. ~ Bc4 2. ~ Ba2+? , but 3. nGh5!! That’s why the black blocks the squares in an interesting way: 1.d1=B Bc4 2.Bh5 Ba2#! – now nGh5 is not possible anymore. The aim of the white here is to build the anti-battery on the vertical “a” using nGa5 (the rear piece) and the white bishop (the forward piece). But to achieve this goal it is needed to block totally all the 3 fields which nGa5 can use to run away: c3, c5, c7. This is how it can be possible: 1.Qc3 Be5 2.Rc5 Bb8 3.Rc7 Ba7#. In all previous examples we were looking at the block of the rear battery-piece. But in a battery or anti-battery we can block also a forward battery-piece. The next schemes will show the typical effects of such blocks. Btw, not all the fairy pieces can be used to realize this kind of block. 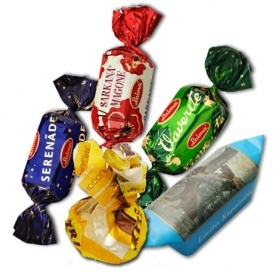 What you have to do here – is to choose the right fairy piece which can play the thematic role! Here in the beginning we have a battery of the Rc5 (rear piece) and nLOc7 (forward piece). But the tries to give mate in 1 one doesn’t work, f.i. : 1.nLOxb7-a7+? but 1…nLOxc5-d4! ; 1.nLOxd7-e7+? but 1…nLOxc5-b4! The effect of the neutral piece, which captures the another battery-piece as a defense, is shown very well here – and this is the useful effect which has to be learned! A try to build an anti-battery here 1.nLOхb4-b5+? 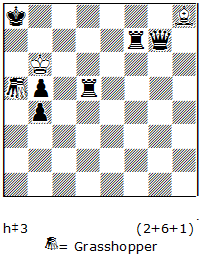 – doesn’t work at the beginning, as black can answer in 2 ways: 1…nLxe2-f1+! and 1.nLOxd5-e5! The solution is clear — it is needed to block the squares f1 and e5 for the neutral Locust. This is how it can be done: 1.Bf4! Kf1! 2.Be5! nLOxb4-b5#. Please note the different methods of blocking — in one case the square е5 is blocked by the black, in another — the square f1 is blocked by the white. Consequently, in some cases – especially using the neutral Locust! — the possibility of thematic block has the both sides! So far we have discussed the schemes only, and probably some of the readers might think, that it is complicated to compose an interesting problems here. But this is not really so, as the next example shows. At the beginning let’s see how the play will look from the white’s move: 1…Lia3 2.Sc4! nLOxc4-c3#! 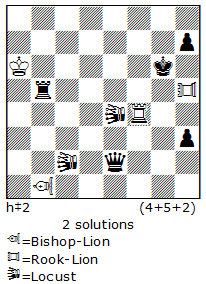 The idea of the combination is clear: the white Lion blocks the neutral Locust, which after the mating move can’t give a check to the white King as the square а3 is blocked! Of course, with the sacrifice of black S, the black has created an opportunity for the neutral Locust to show it strength as an opening battery-piece of nLO/Li. But here is black to move and because of zugzwang it is impossible to keep a set-play. So, the new play is needed! It is possible, realizing the analogical thematic: I. 1.Sd3 Lia2 2.Sc5+ nLOxc5-c4#; II. 1.Sd1 Lia4 2.Sc3 nLOxc3-c2#. 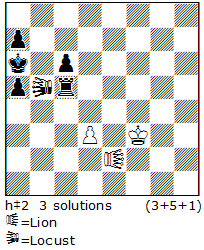 Three-phase play between the Lion and the neutral Locust here has a form of duel, and an important additional motive: the black S is three times sacrificed on different squares! In the next part we’ll look at more complicated examples with the battery-pieces like Chameleons, Chinese pieces etc.